Start with a change of clothes. Once again we are going for protection and comfort. Coloration will depend on the environment you intend to ride the storm out in. Long sleeve shirts will obviously provide the most protection. Be sure to pack one. White does not attract mosquitoes like dark clothing, but it is easy to spot. Use your discretion, depending upon circumstance. No shorts allowed unless you are planning on surviving on a California beach or deserted island. 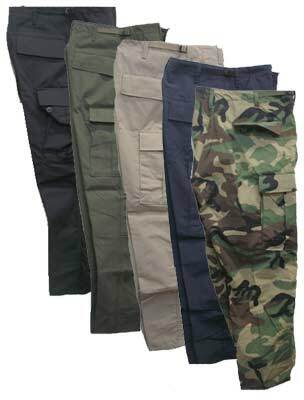 I prefer a rip stop military style pant tucked into my boots. This helps keep ticks down which is a good thing.